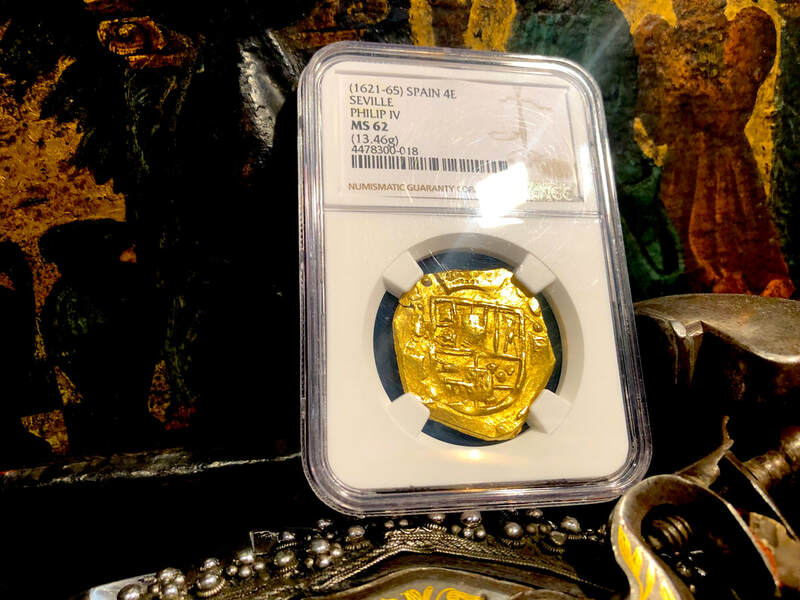 Spain 4 Escudos 1621-65 "Brute Style" NGC 62 Possibly a Charles II instead of a Philip IV, the mintmark appears to be an "S" which would indicate it being a Charles II Piece! 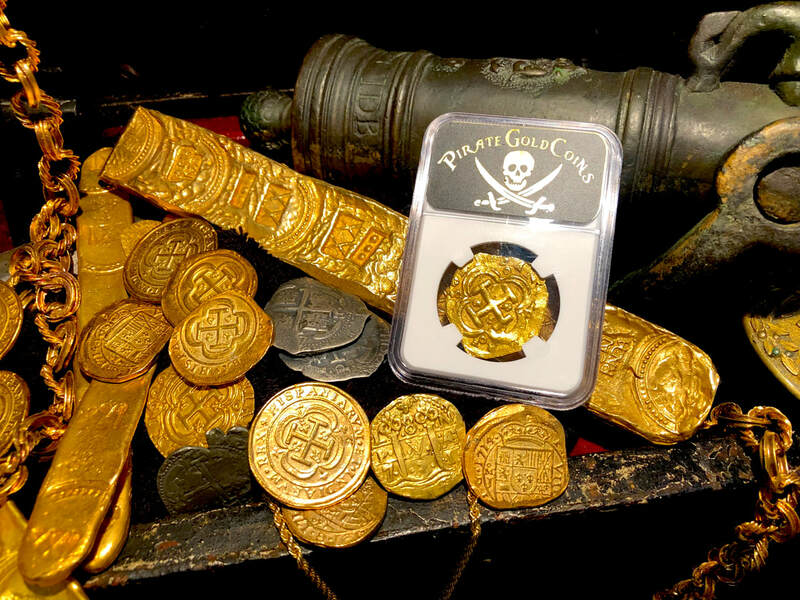 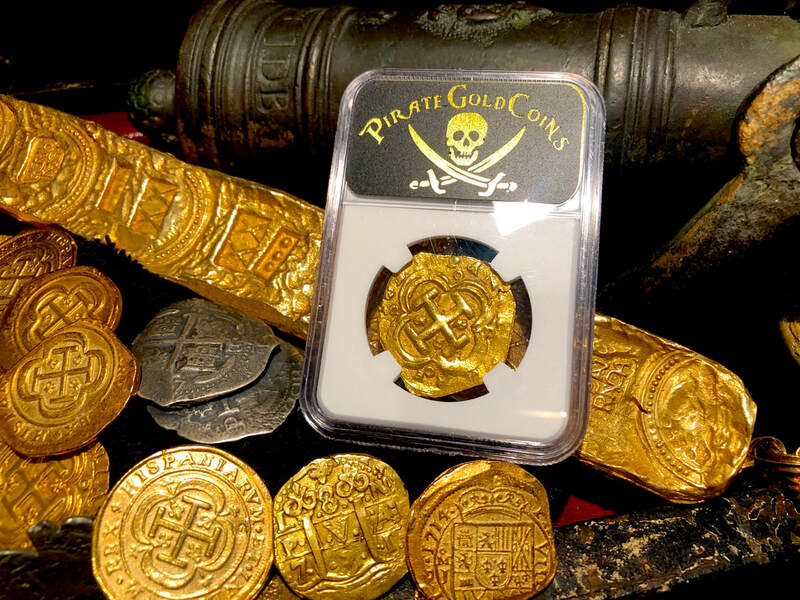 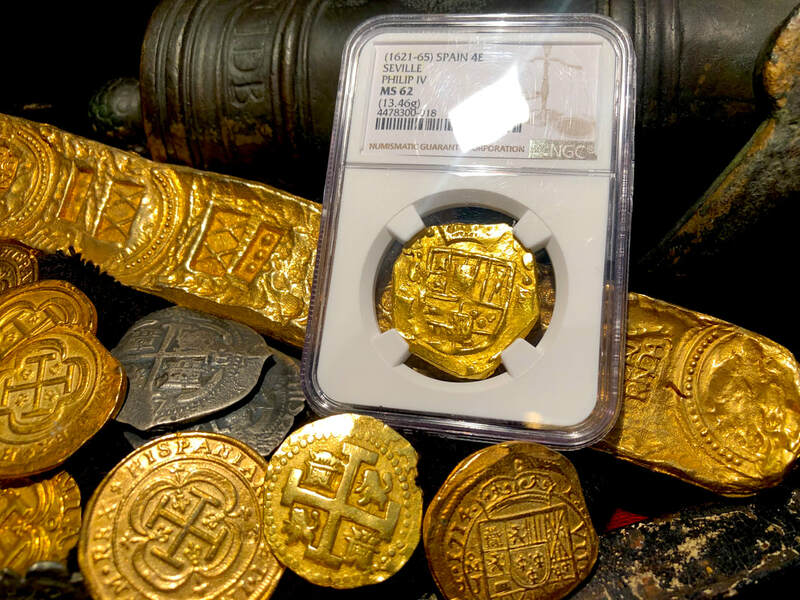 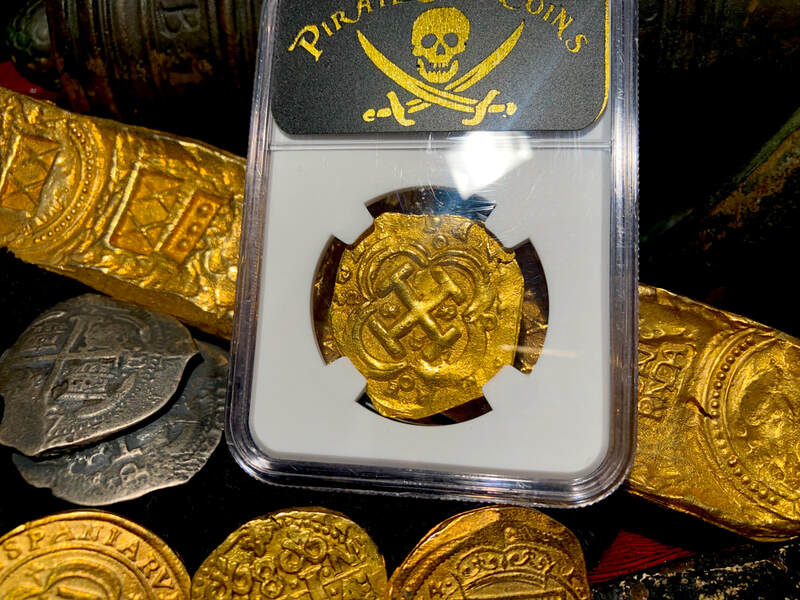 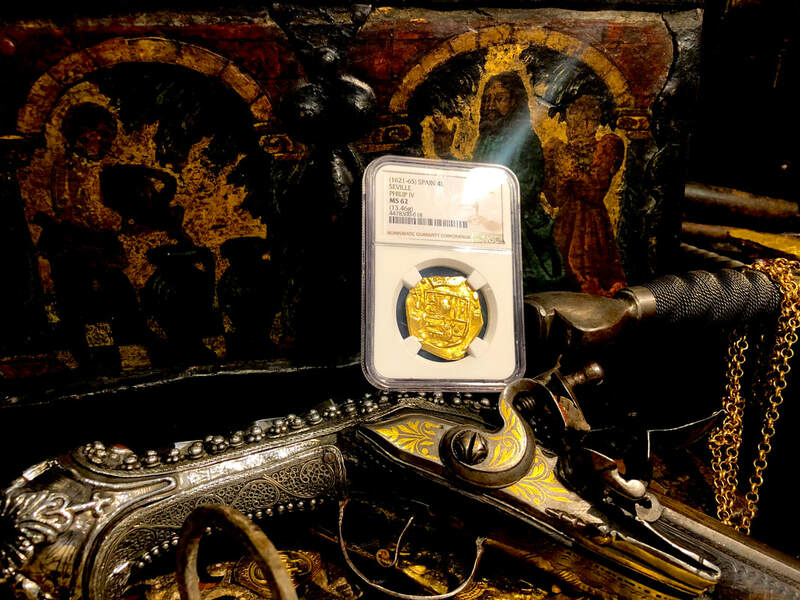 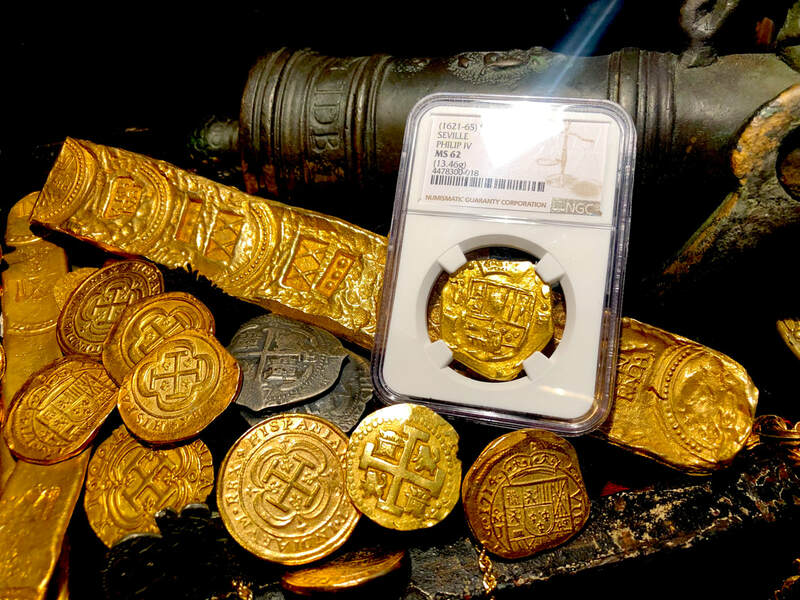 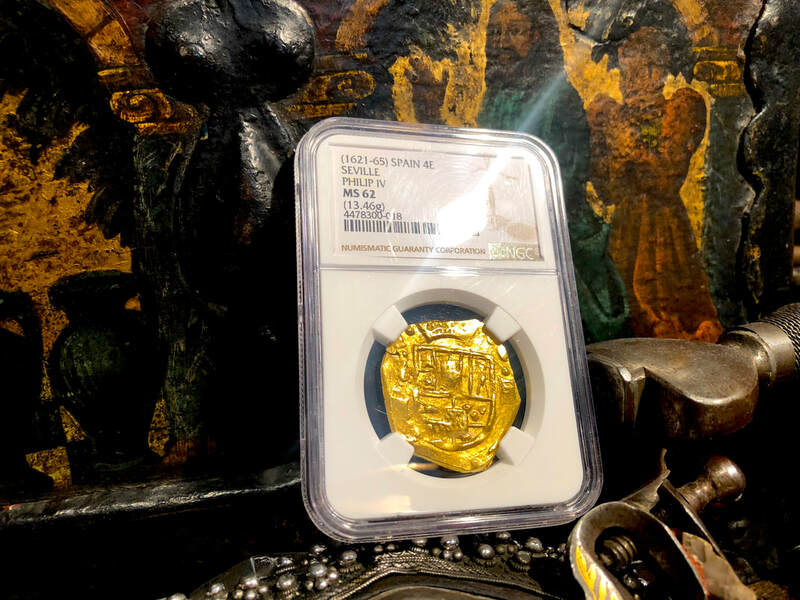 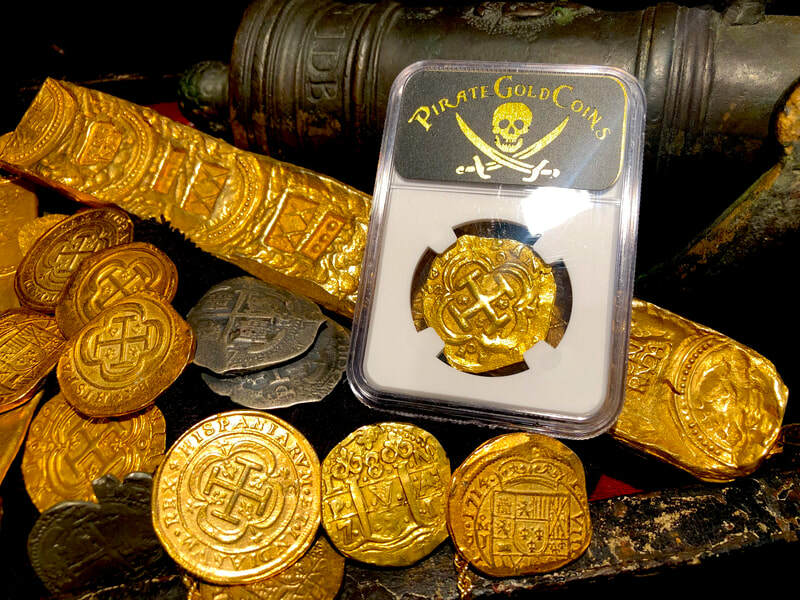 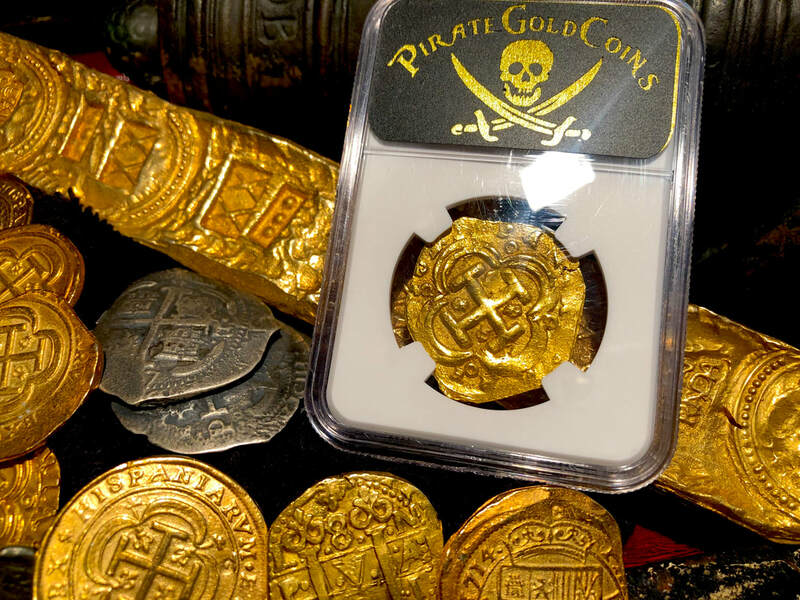 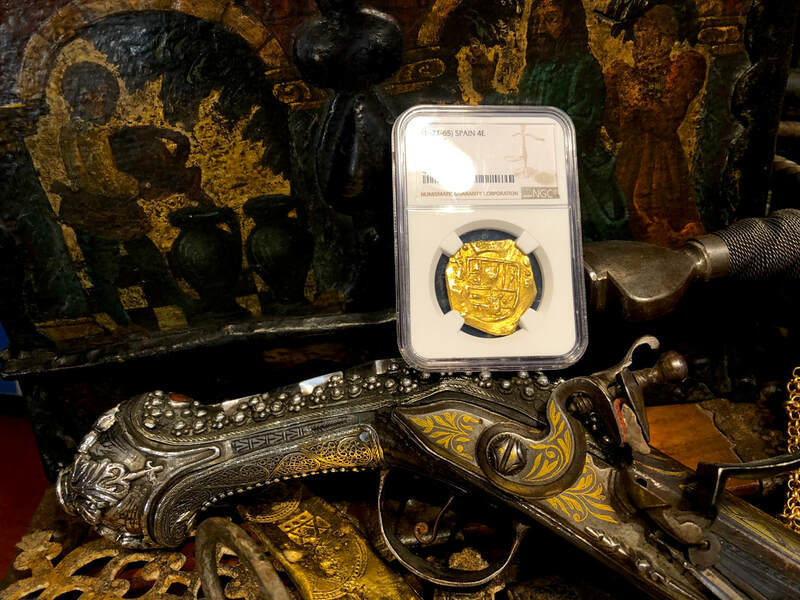 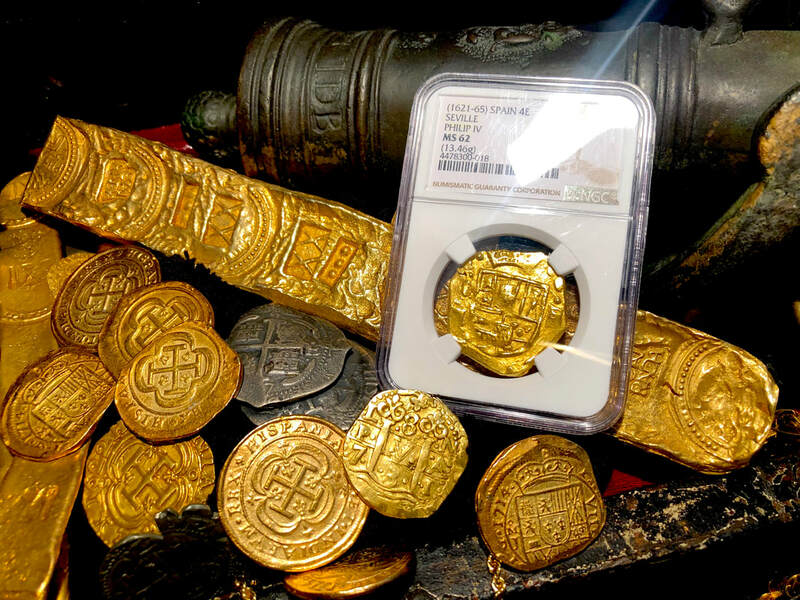 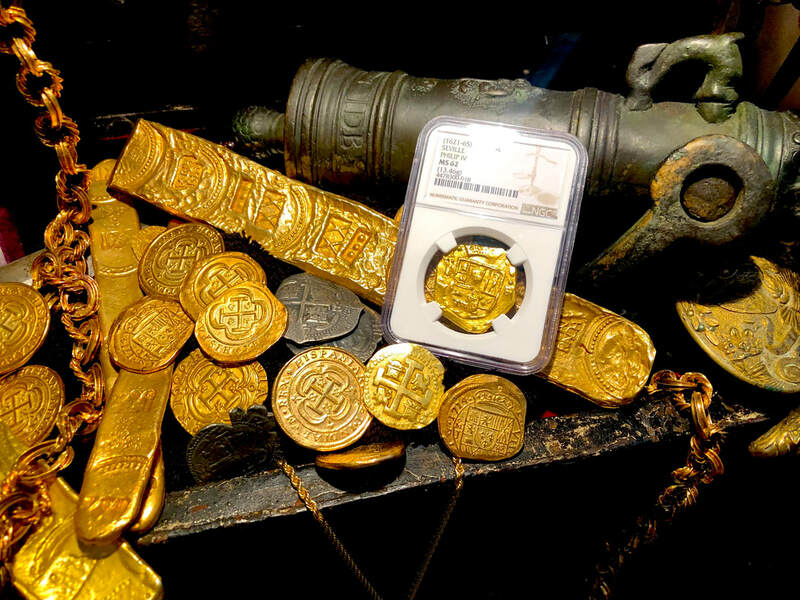 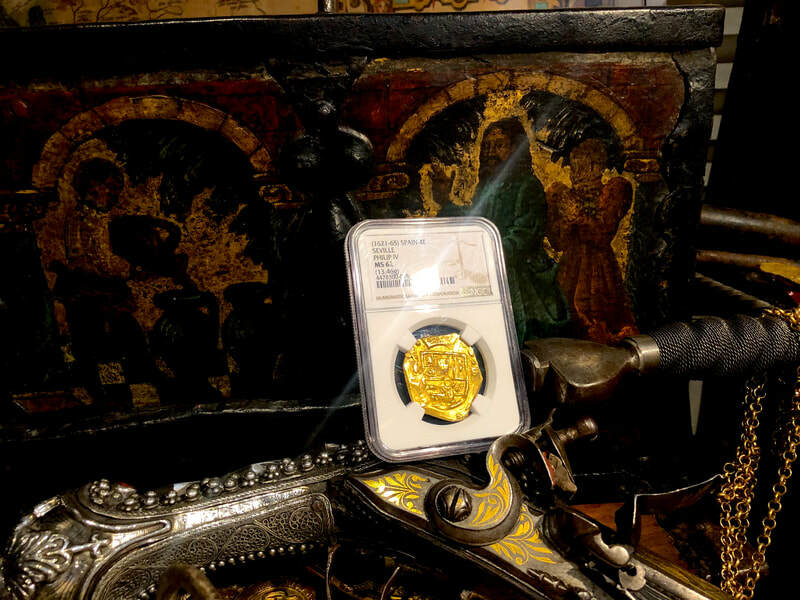 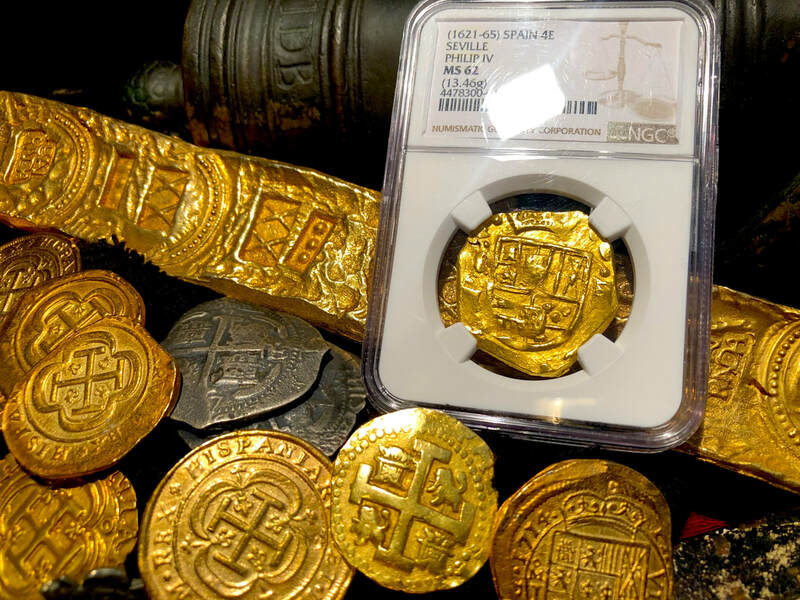 We already know this piece won't last long, the "Brute Style" pieces are always extremely popular and this one really takes the cake for most "Pirate" looking Treasure Coin. 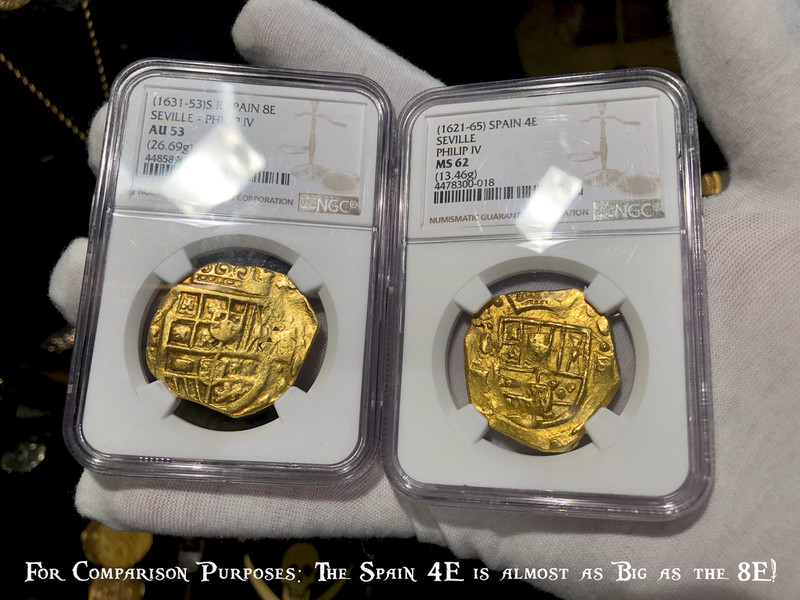 Not only that this 4 Escudos is the size of an 8 Escudos, we added a photo of it for comparison purposes! 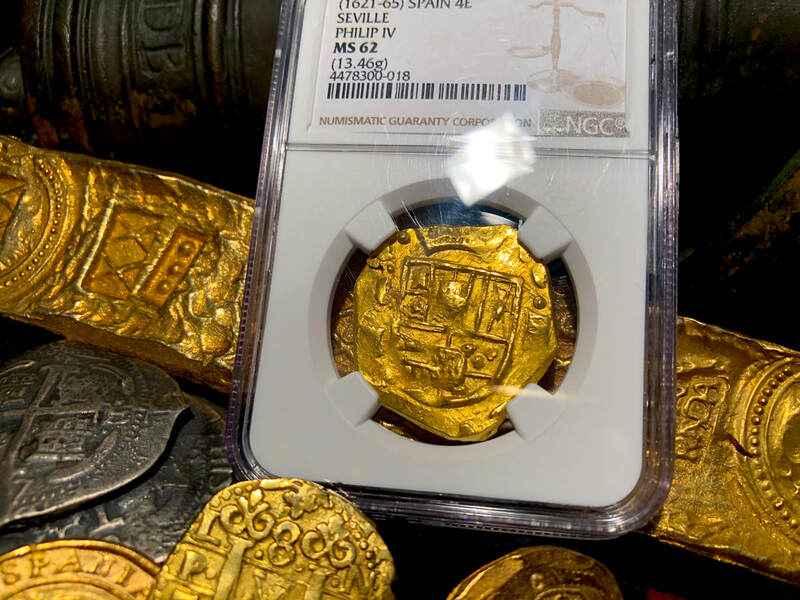 A Full Crown is also very desirable and rare on the Brute Style 4 Escudos, the Shield is almost completely unbroken or doubled. 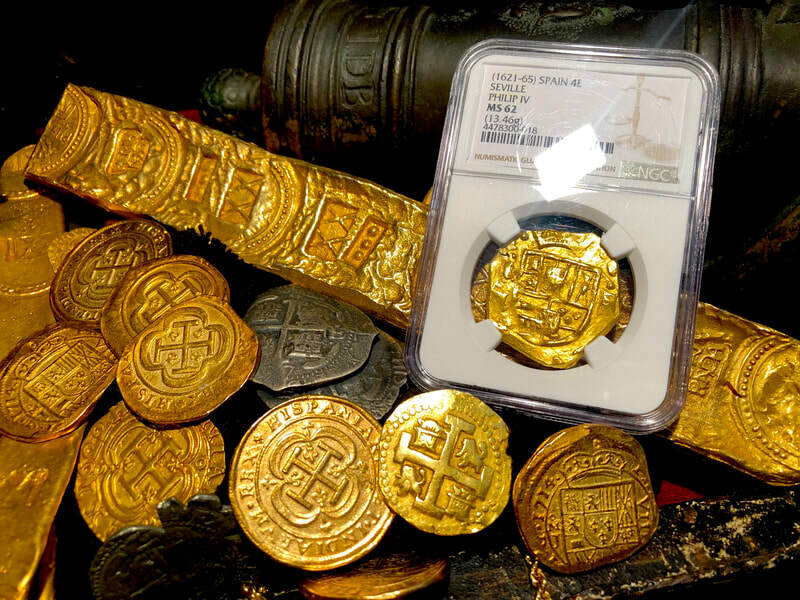 The Cross side is extremely Bold and Sharp with no signs of doubling or breaks! 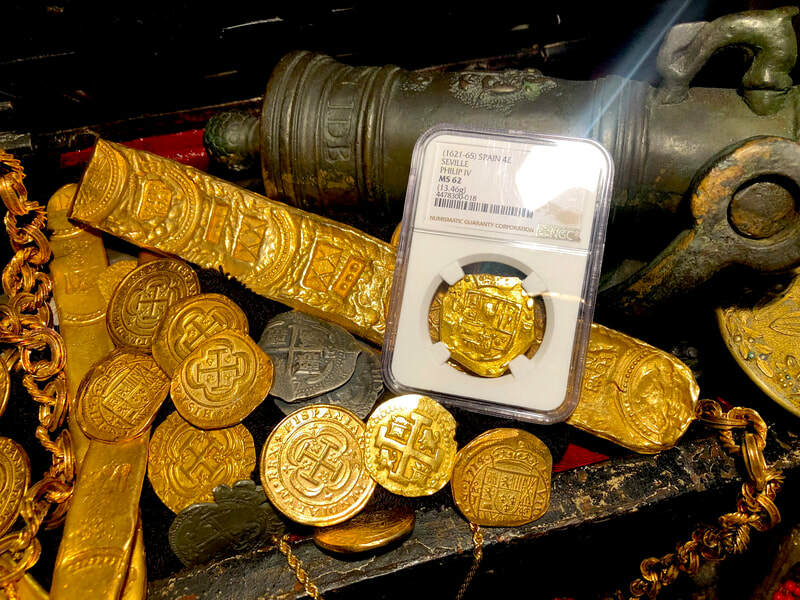 Also, 90% of the surrounding Tressures are still intact! 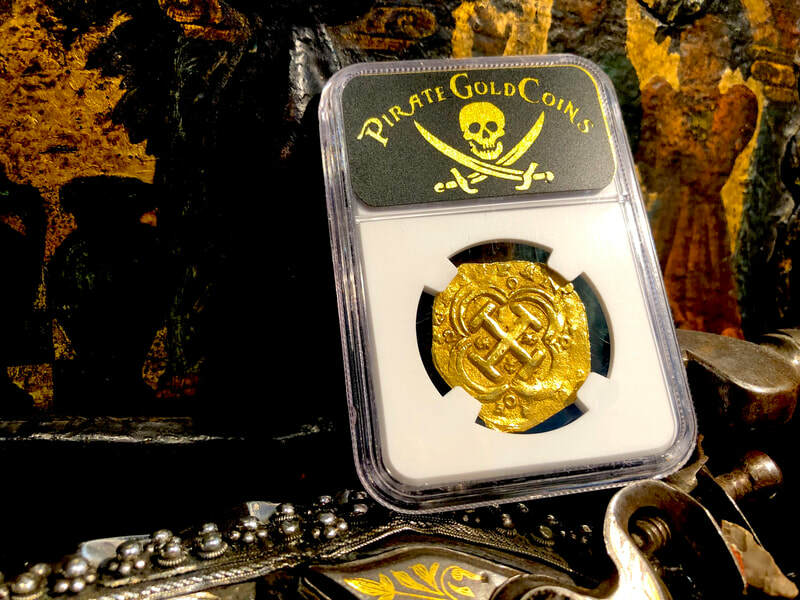 Truly a Trophy Piece Pirate Coin!